While many gutter repairs are necessary due to normal wear and tear, most gutter repairs become necessary when cleaning your gutters has been neglected. When water and ice is held in the gutters by leaves and debris, the extra weight can pull the gutters away from the home. Frozen debris stuck in the downspouts can split the seams. In the long run, the money you spend having your gutters cleaned will save you from having to pay for extensive repairs and, if neglected long enough, replacement. 1. 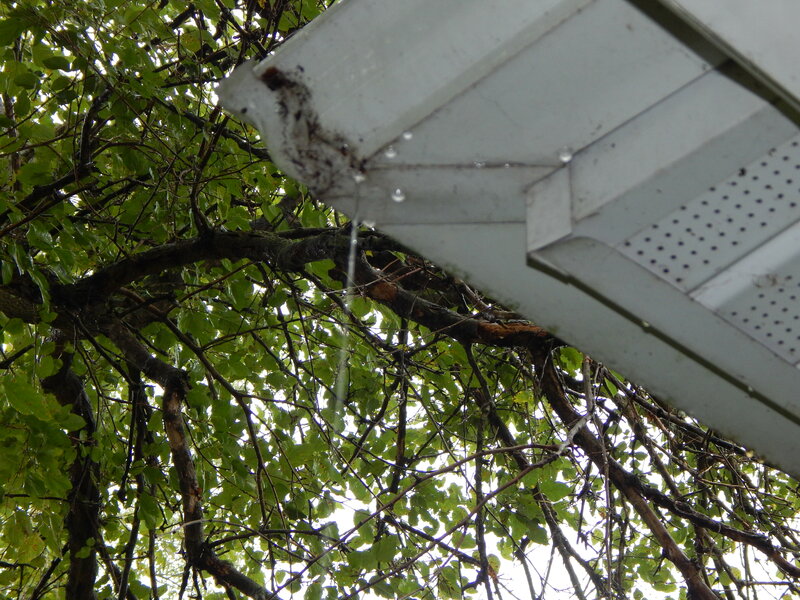 The most common gutter repairs we see are sagging gutters. 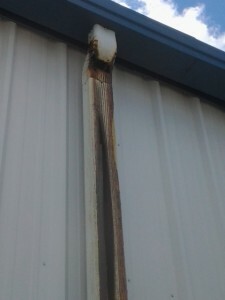 Many older gutters are held in place by long nails or spikes and we often see sagging gutters when not enough hangers are used to support the gutter. WE PUT HANGERS EVERY 2 FOOT ON CENTER. When these spikes come out and the gutter is no longer supported. The way to repair a sagging gutters is to replace the spikes by adding new quick screw hidden hangers. Most of the time if it is repaired before the gutter comes all the off we can reattach the exsisting gutter back to your home for you. And save you from a more costly repair in the future. 2. The downspouts are another area often in need of gutter repairs. If debris gets stuck in the downspout and freezes it can split the seam of the downspout. 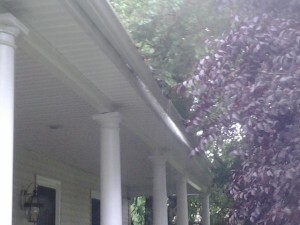 The downspout and elbow may need to be replaced. The bracket that holds the downspout to the home will often come loose and will need to be reattached. 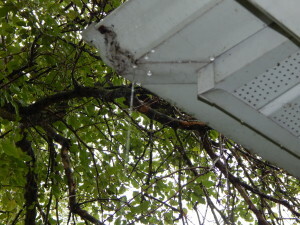 Some leaks may be caused by gutters that have rusted all the way through. The old galvanized steel gutters will do that over time and need replacement, and if that’s the case new aluminum seamless gutters will be your best choice, since aluminum will not rust. Therefore, regular cleaning and repair, and inspection of your gutter system is important. Perhaps you have noticed a sagging gutter, loose downspout, or have a leak that has been dripping water right on your front porch or anywhere else. South Jersey Gutters can help! Addressing minor repairs during a routine gutter cleaning is the best way to maintain the integrity of your gutter system. A professional gutter service, like South Jersey Gutters, will be able to spot and repair damage before it becomes a bigger, and a more costly issue. While most gutters are simply in need of repair, some older systems may need to be replaced with a new Aluminum seamless system. South Jersey Gutters, A professional gutter service will be able to give you an honest assessment of your system and let you know when it is time to replace your gutters.